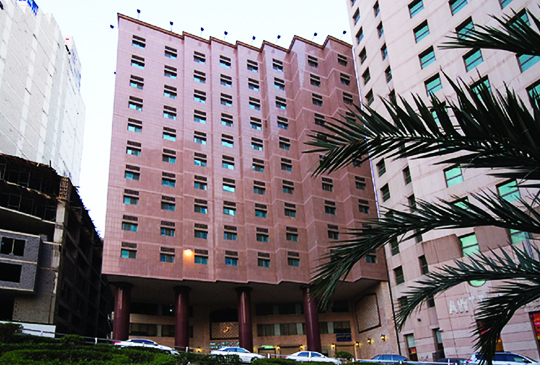 Just a 5-minute drive from the holy Al Masjid Al Haram, Dar El Eiman Al Sud Hotel offers simply furnished accommodations. It features a 24-hour front desk.All units at Dar El Eiman feature a simple décor. Each one offers a flat-screen TV, a fridge and a wardrobe. A shower is included in the bathroom.Al Azizia District is 5 minutes by car from Dar Al Eiman Al Sud. King Abdul Aziz Jeddah Airport is a 75-minute drive away. Free private parking is possible on site. A 5-minute walk from the sprawling Al-Masjid an-Nabawi pilgrimage site, this casual hotel is a minute’s walk from the nearest bus stop and 3 km from Quba Mosque, the oldest mosque in the world.Warmly decorated rooms come with complimentary Wi-Fi, flat-screen TVs and minifridges, as well as tea and coffeemaking facilities.There’s a relaxed lobby lounge with sofas and flat screens.